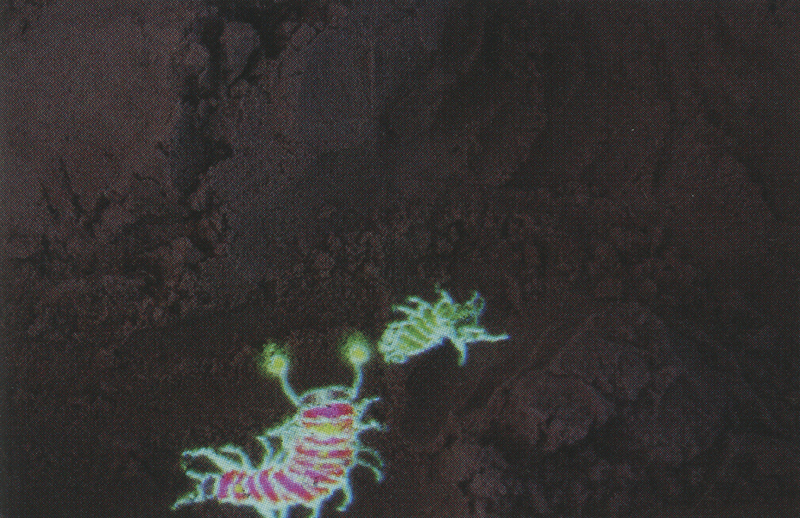 Using the shared environment of a sandpit, Glowing Pathfinder Bugs allows virtual creatures and real people to coexist and communicate. The sand operates as a tactile interface, allowing participants to define physical landscapes to which the digital creatures respond in real time. The result is a form of animal husbandry-a sense of controlling and caring for the bugs. Glowing Pathfinder Bugs was commissioned by Folly for PortablePixe!Playground (www.portablepixelplayground.org). 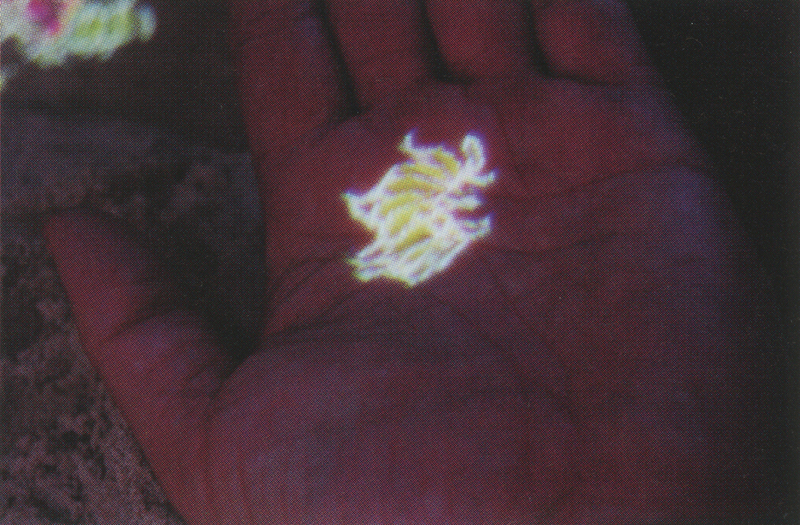 Glowing Pathfinder Bugs resulted from a period of research into interaction in three physical dimensions. Techniques and technologies that were originally designed to track human gestures and movement have been used here to blur the boundaries between the real world and virtual space. In this work, the physical and tactile landscape of a sandpit is mapped directly onto virtual space. Any changes to the physical topography of the sandpit are immediately mirrored in the virtual environment. 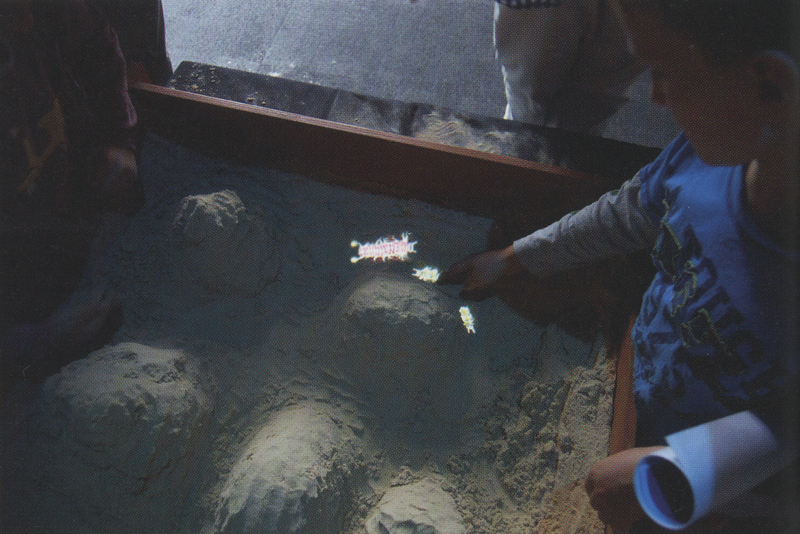 The virtual space is then mapped directly back onto the physical space by projecting the bugs onto the sand. The creatures are able to navigate this ever-changing landscape, aware of their physical surroundings, searching out gullies and low-lying areas in real time. Because the bugs’ decisions are based on their environment, and this is controlled by participants, there is a strong sense of communication and interaction between the bugs and people. This interaction extends to how people play with the bugs. They can be antagonized-even terrorized-but they can also be anthropomorphized, cared for, and husbanded.